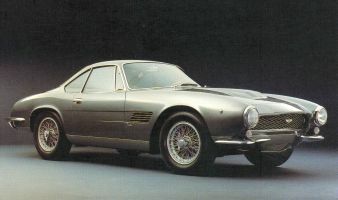 A dream sports car to celebrate a double historical anniversary. 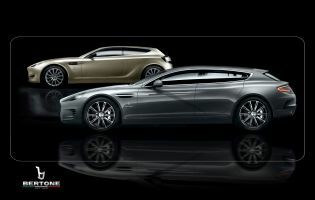 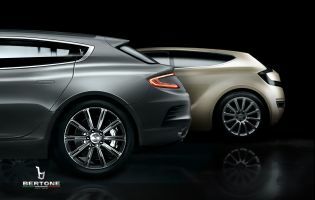 At the International Car Show of Geneva, Bertone celebrates the Aston Martin centenary and Sixty years of cooperation between the Italian Company and the prestigious English Brand presenting an interpretation of the Aston Martin Rapide. 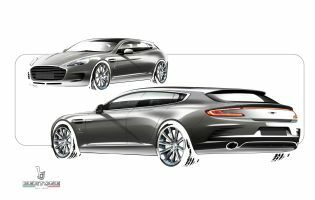 It is a luxurious and refined shooting-brake realized as a one-off vehicle, keeping unchanged the mechanical engineering of the original model (6 litres V 12 cylinders engine 476 HP), combining a stretched and muscular car body and a functional use of the hatchback. 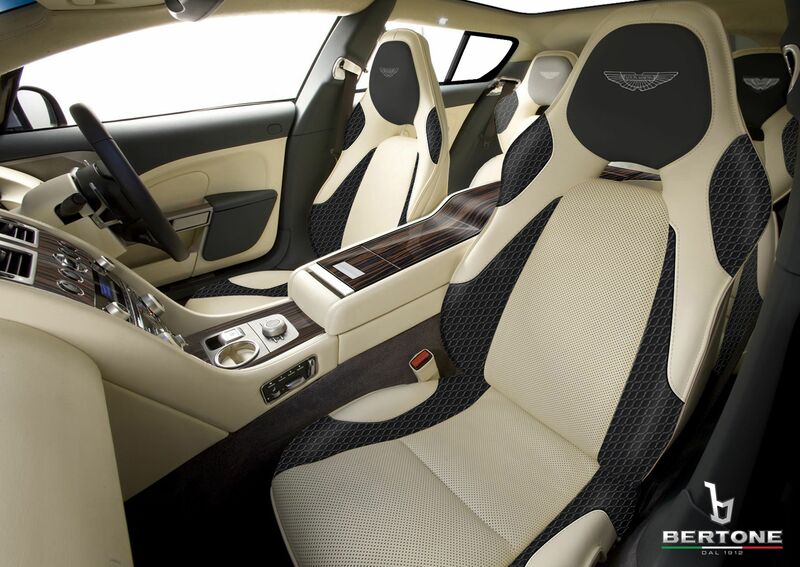 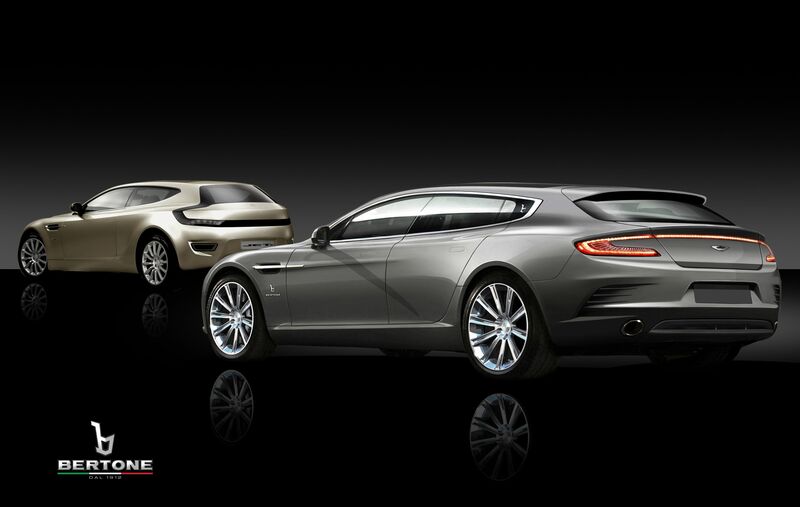 The Rapide Bertone was commissioned by an Aston Martin collector who took part in person in the whole development of the project, from the first phases of the style research to the manufacture of the car in the workshop, choosing the bodywork paint as well as the leather trimming and the cockpit upholstery. 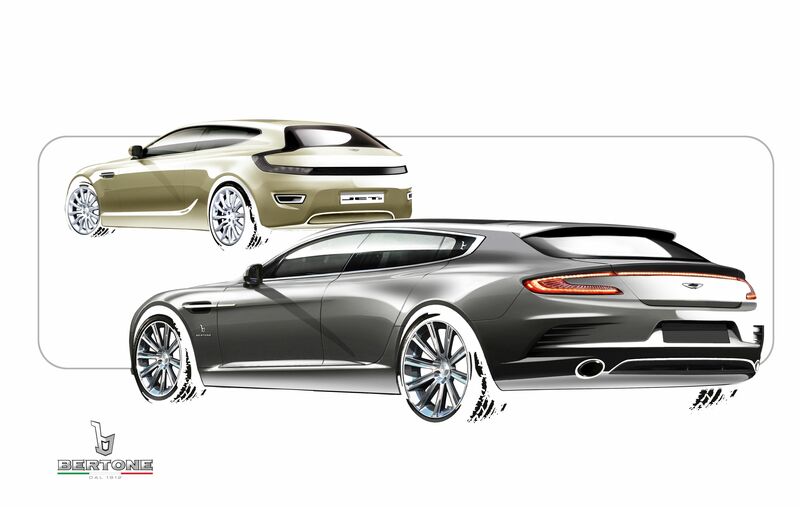 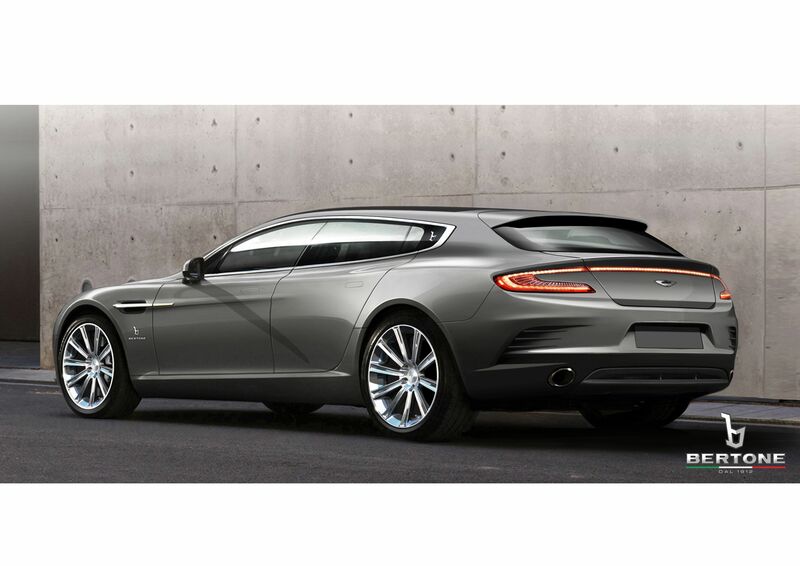 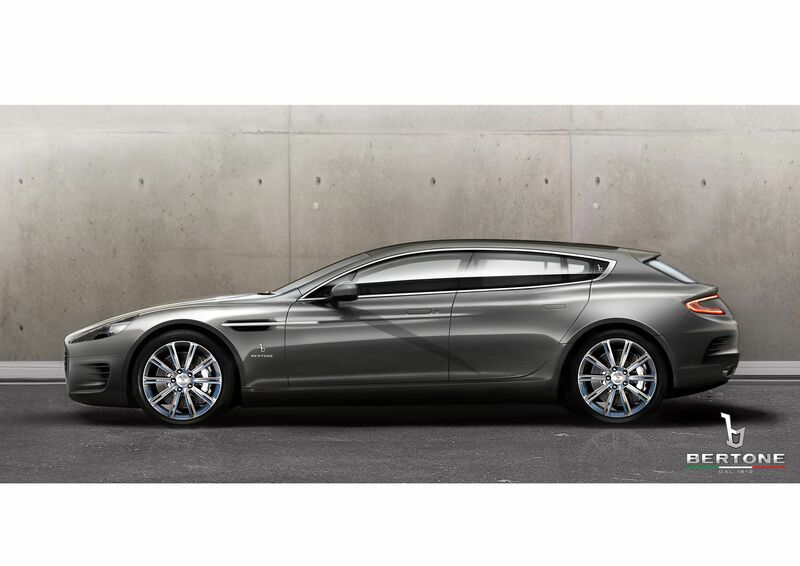 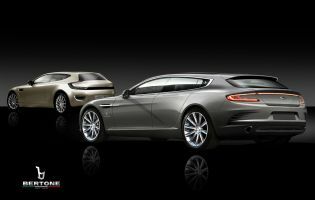 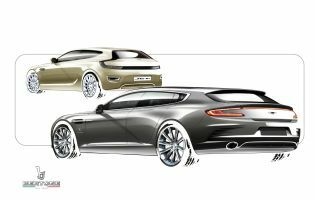 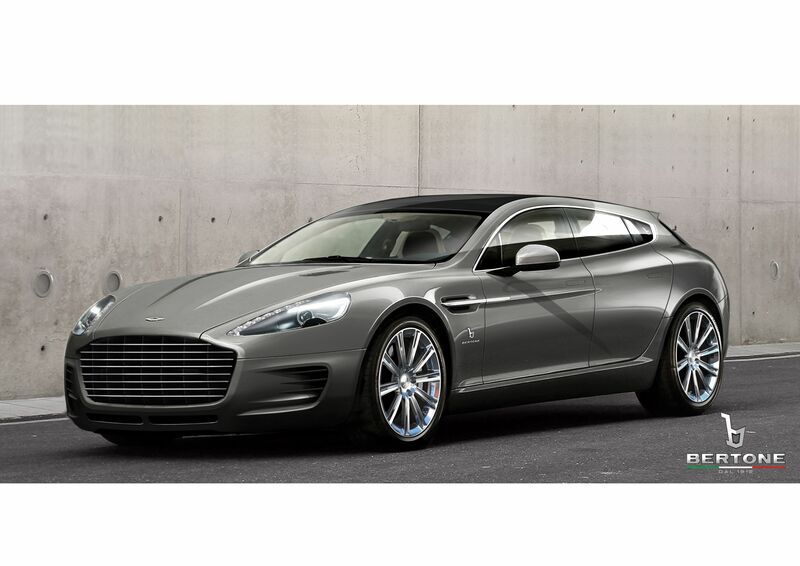 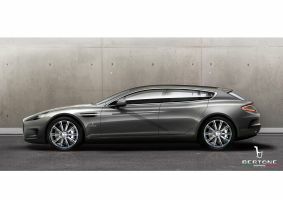 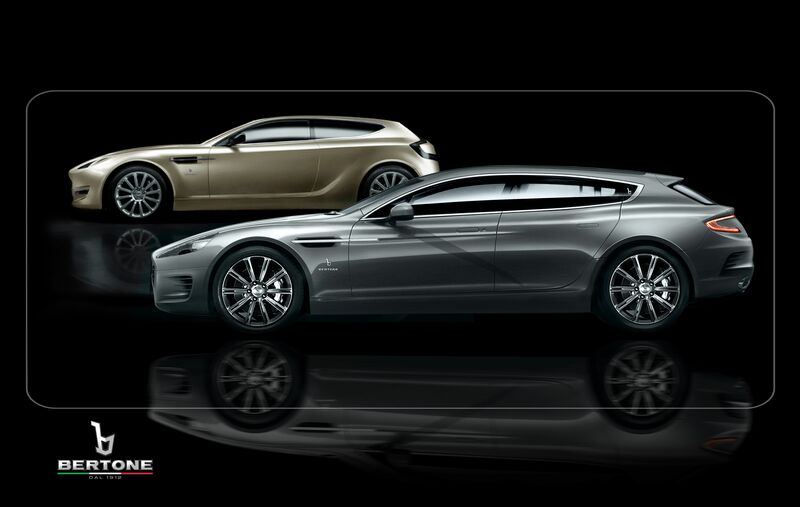 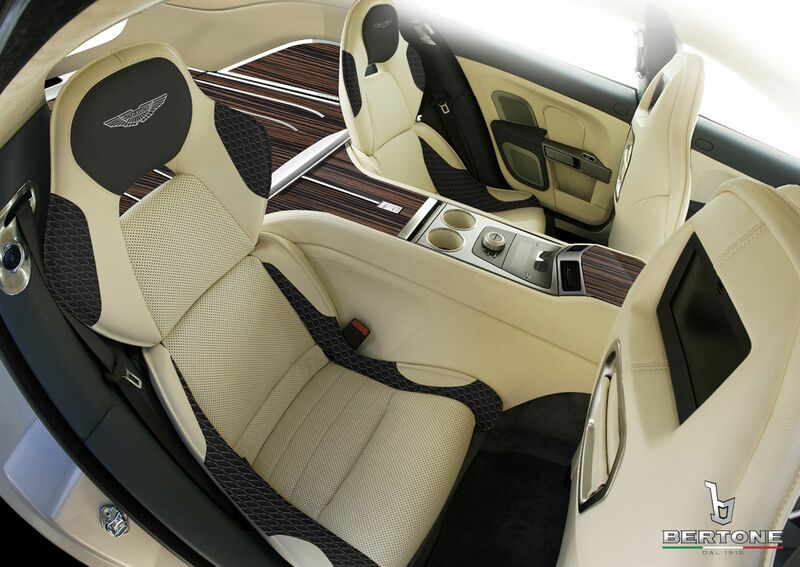 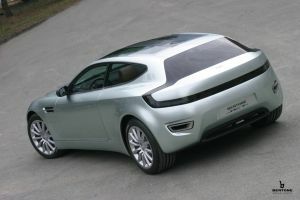 Close to the Rapide Bertone a new exemplar of the Aston Martin Jet 2 is proposed, once again a shooting-brake realized in 2004 based on the Vanquish. 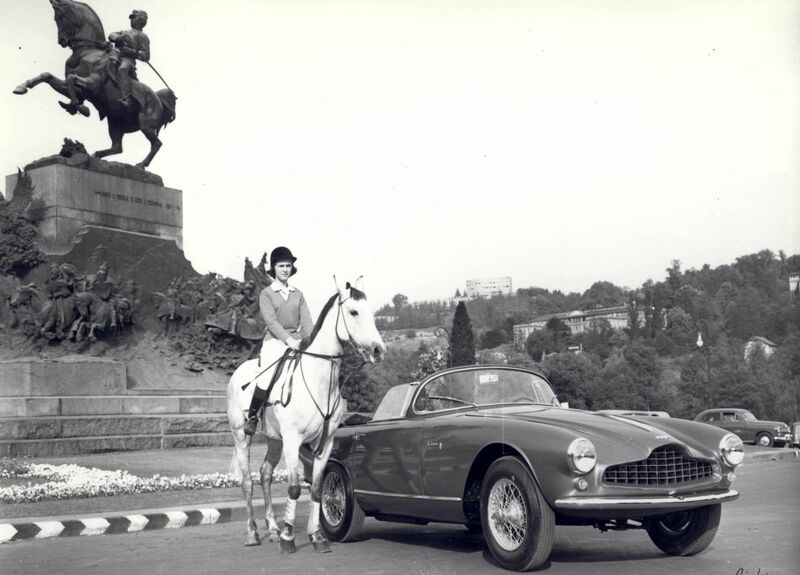 In this case the exposed model in Geneva was especially set up for the president of the Company, Mrs Lilli Bertone, with trimmings personalized by Foglizzo Leather (a prestigious Italian Brand founded in 1921) and special paint. 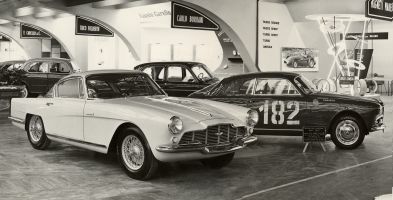 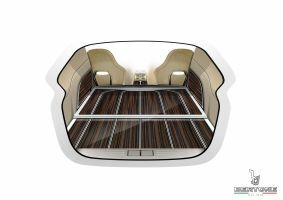 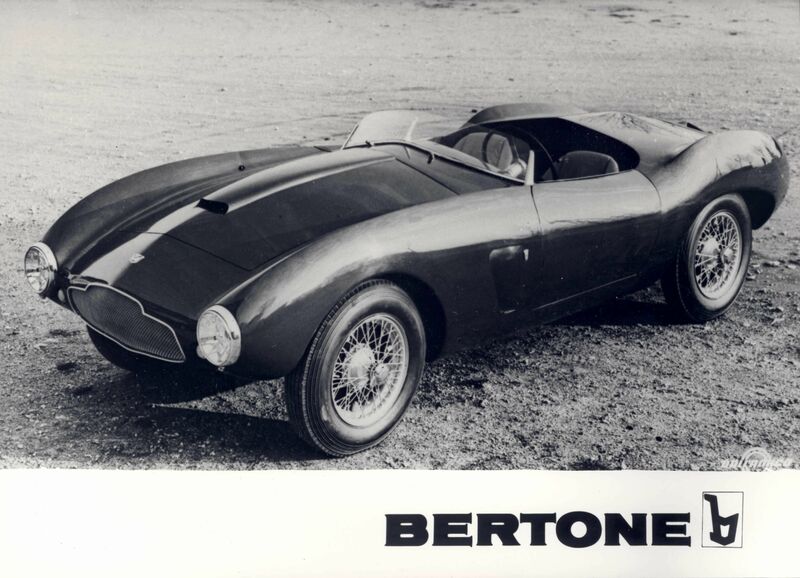 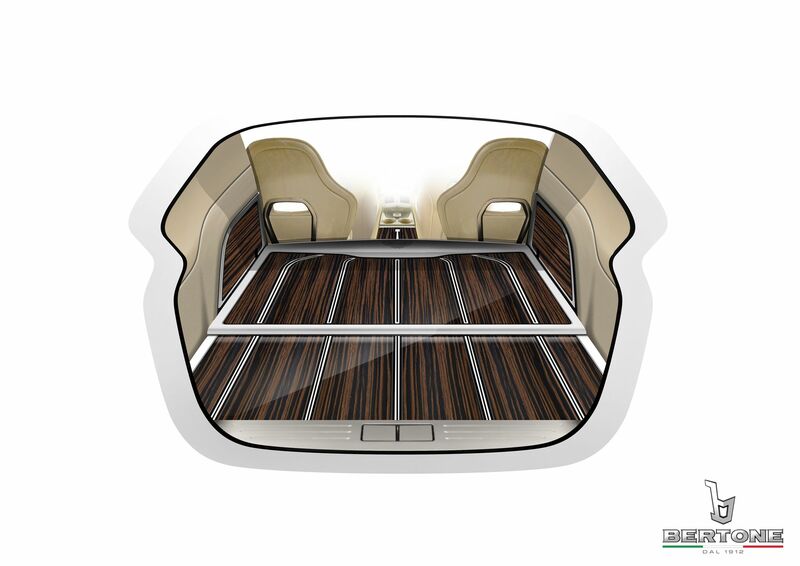 Both the cars were manufactured by “Bertone Officina” (Bertone Workshop), the new company department organized as a high fashion atelier, completely designed for the production of custom-built models coherently integrating in the historical tradition of Bertone. 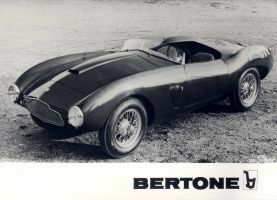 That means a "tailor made” service for special customers, but also an example of how Bertone could help the manufacturers to vary their own range making “custom-built” cars, exactly as they made in the Fifties and Sixties, with all the standards of quality and safety of a modern car manufacturer. 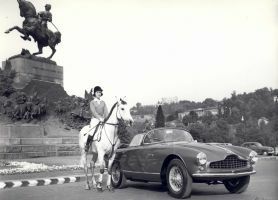 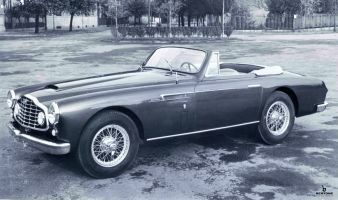 With the years passing by, the DB2/4 small boat highlights some stylistic features that would have become “classical” of Bertone: low and thin windscreen, showy air intake on the engine bonnet, horizontal calender, back mudguards very enveloping and stretched to give impetus to the back volume.